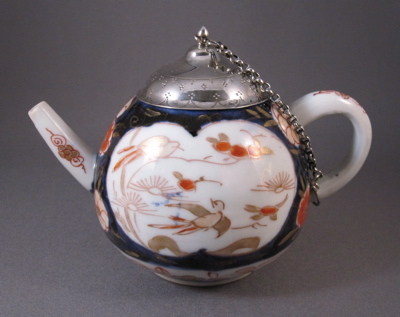 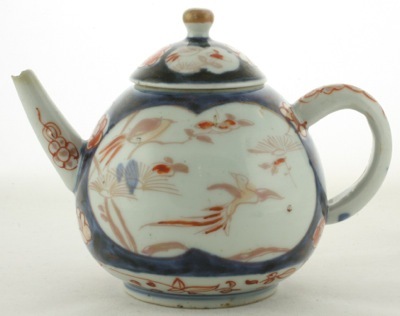 A small pear-shaped porcelain teapot made in Japan during the Edo middle period (1704-1800), with underglaze Imari decoration of birds and flowers in cobalt blue, iron red and gold. 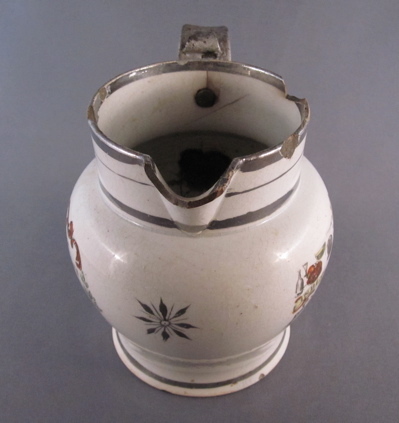 Measures 3-1/2″ high, 5-1/4″ wide. 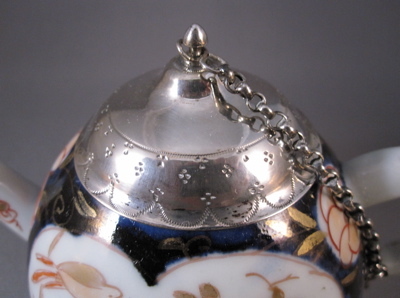 Silver replacement lid with chain, engraved decoration and Dutch hallmarks is from the early to mid 1800’s. 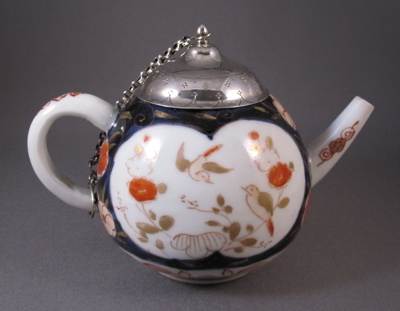 This nearly identical teapot shows what the original lid on mine would have looked like before the silversmith got a hold of it. 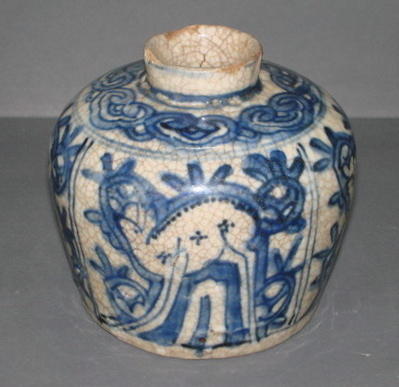 Thanks Hans! 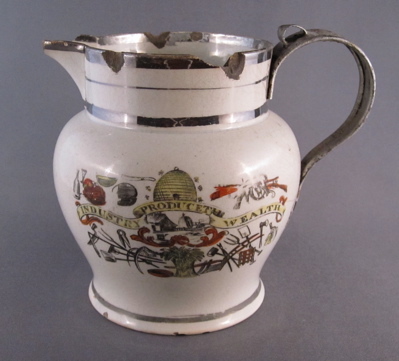 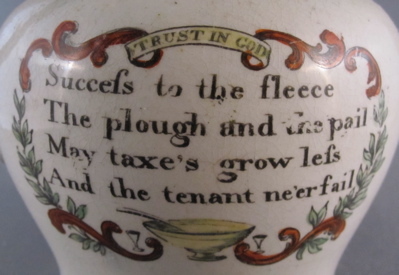 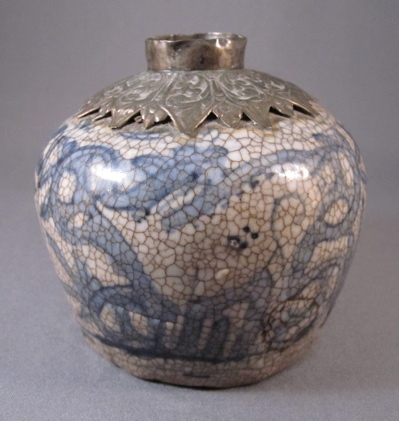 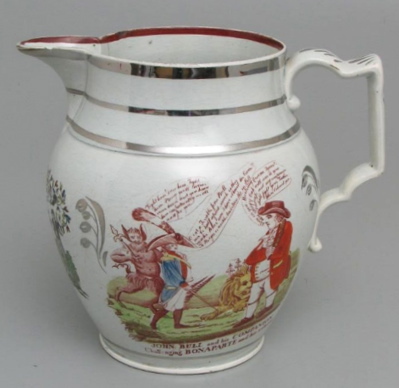 An English pearlware “Dutch” shape jug made in Staffordshire, England in the early 1800’s. 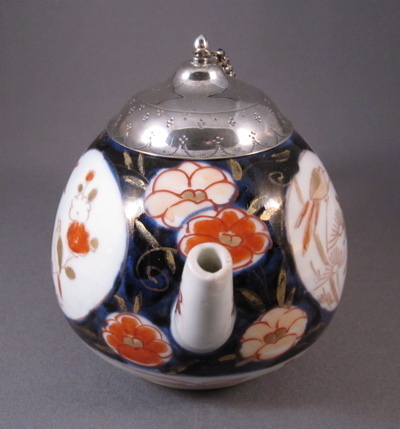 It is decorated on both sides with a black transfer decoration with red & yellow overglaze washes and silver lustre bands at the top and bottom. 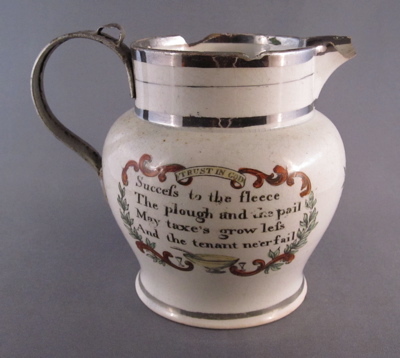 Although it has been beat up over the past 200+ years, is riddled with numerous chips and cracks and lost its original handle along the way, I am glad to have plucked it from near oblivion. 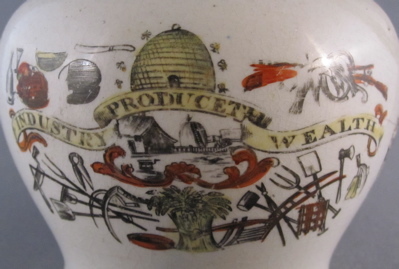 The banner proclaims “INDUSTRY PRODUCETH WEALTH” along with images including a bee hive, shafts of wheat and farm tools. 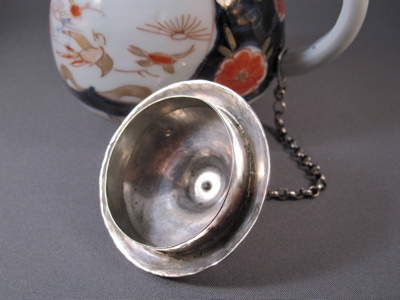 The replacement metal handle with thumb rest has been painted silver to blend in and appear more pleasing. 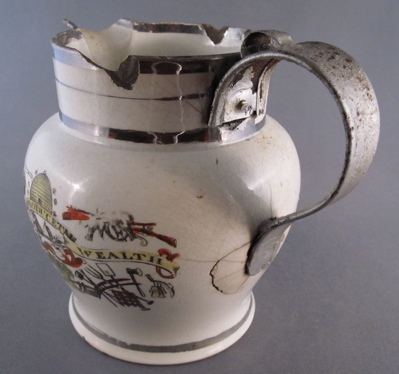 A metal bolt, securing the metal handle to the body of the jug, can be seen from the inside of the fragile jug. 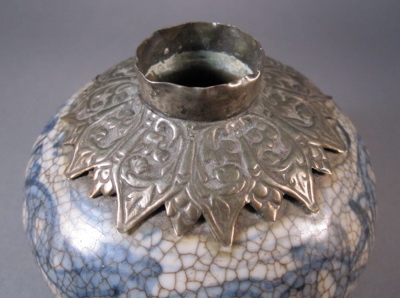 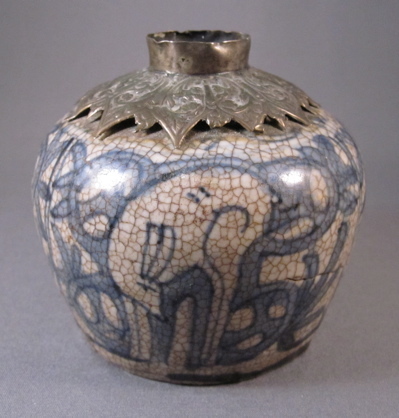 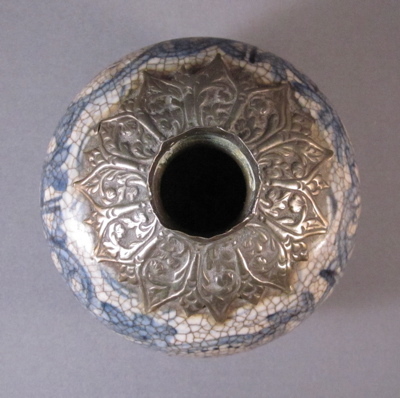 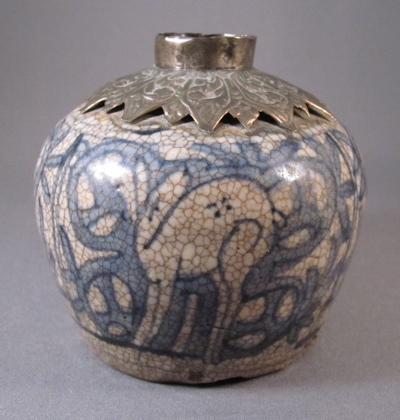 This example has the same form and silver lustre decoration as my jug and shows what the original handle might have looked like.